A CFL game on June 22 was going to conflict with a nearby Arkells concert, but the league agreed to move the game so fans can attend both. There’s a long history of sports events being scheduled at unfortunate times for fans, or at times that conflict with other events. But in this TV-focused era, it’s particularly unusual to see an event moved for reasons that have nothing to do with TV. That’s what happened in Canada this week, though. 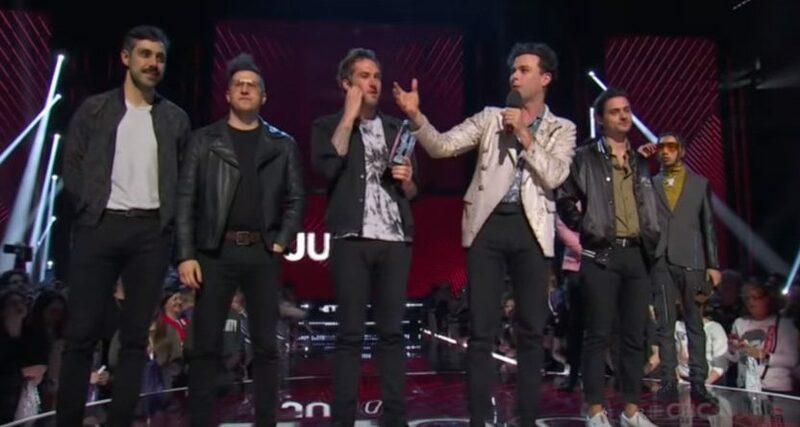 The Arkells (recent winners of the Juno Awards for Group of the Year and Rock Album of the Year) announced a new performance June 22 at the Budweiser Stage at the Canadian National Expo in Toronto, but many pointed out that conflicted with the Canadian Football League game scheduled that evening at the CNE between the Hamilton Tiger-Cats and the Toronto Argonauts. And as the band’s from Hamilton and noted fans of the Tiger-Cats (they even wrote a “Ticats Are Hummin” song in partnership with the team a while back), they threw out a Twitter request for the CFL to change that game time…and the league actually did it. JUNE 22 – WHAT A DAY. We also recommend the @PrideToronto 5k race or Dyke March in the AM. Huge thanks the CFL, Argos + Ticats for getting in on the fun. We go hard Saturday and then get holy at Pride on Sunday. It’s cool and rare to see a league actually change a game thanks to fan comments and scheduling conflicts. But this one seems to actually make a fair bit of sense for everyone involved; the Argonauts now have an extra incentive to get fans out to that game (they’ve always had attendance issues, but their tickets during the duration of the CNE also include fair admission, so this helps there), and CFL fans now don’t have to chose between watching a game and seeing the Arkells live. And it’s neat to see a league be that flexible.